Existing at the fringes of Washington, D.C., the Club consists of four eccentric members. Led by a mysterious man known as 'Oliver Stone,' they study conspiracy theories, current events, and the machinations of government to discover the 'truth' behind the country's actions. Their efforts bear little fruit--until the group witnesses a shocking murder...and becomes embroiled in an astounding, far-reaching conspiracy. Now the Club must join forces with a Secret Service agent to confront one of the most chilling spectacles ever to take place on American soil-an event that may trigger the ultimate war between two different worlds. And all that stands in the way of this apocalypse is five unexpected heroes. DB often uses a female and male to offer a more clear perspective. I have listened to about 7 of his books and this is my least favorite. 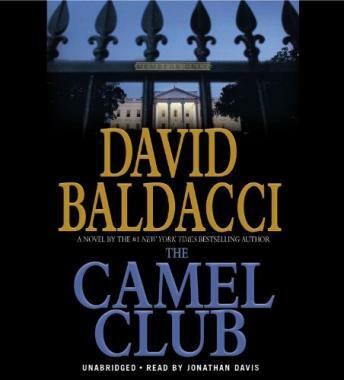 I had read the Camel Club in hard cover some time ago. It was interesting to listen to it again. The story was great and moved quickly. There was a lot of "food for thought" about the working of government agencies. The characters were likeable. It was worth listening to and I enjoyed it.